What About Those Tradeshow Results? As an exhibitor, we’re all looking for great results. But what if you get back to the office a few days after the show, and frankly don’t have a lot to show for it? The lead collection came up short, there weren’t that many “warm” or “hot” leads, and the boss is wondering why all of that money was committed to the show. First, recognize that you can’t control results. The only things you control are your activities, your behavior, and your technique. Let’s start with attitude. Books have been written about attitude. Suffice it to say that if you go into a complex tradeshow marketing program, a good attitude will help immensely. Activities are all-important. 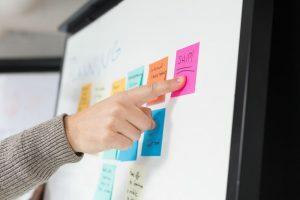 From pre-show marketing, to having a good interaction with your visitors, to lead generation and post-show follow up, knowing what to do and when to do it is critical to your success. k questions, when to shut up and when to disengage? All of your behaviors are subject to being done properly or not. And there is no end to determining what is proper and what works and discarding what does not work. Books have been written about techniques, attitude and behavior, so there’s much more to discover than what you’ll see in this brief post. 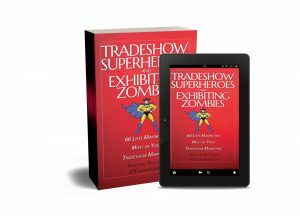 But back to results: if you are not getting the tradeshow results that you are hoping for, the three areas to examine are those that are most important to your success: attitude, behavior and technique. Thanks to Sandler Sales for the tip. Full disclosure: I spent a year in a Sandler Sales Training Program, and this is just a tip of the iceberg.